This article is originally posted at FAIR. After winning re-election in 2018, President Nicolás Maduro of Venezuela was recently sworn in for a second term. 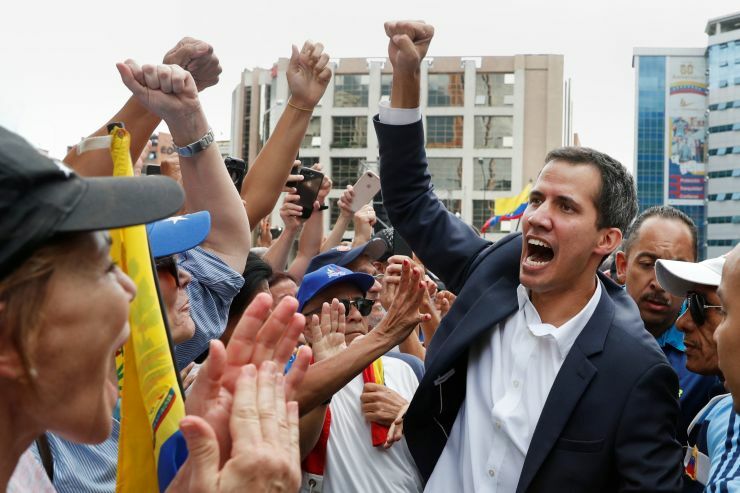 However, Trump has taken the extraordinary step of declaring the elections void, condemning the “illegitimate Maduro regime.” He also arranged to have National Assembly head Juan Guaidó—someone who has never even run for president, whom even the New York Times(1/22/19) describes as “virtually unheard-of”—name himself the country’s new leader. This has spurred the Venezuelan right wing onto the streets to try to force Maduro out of office, leading to the deaths of 14 people in the first two nights of clashes between large pro- and anti-government demonstrations. Last year, the Trump administration preemptively declared as fraudulent the elections they had previously been demanding, instructing the opposition (whom the US has been funding for two decades) to boycott the process. It even tried to “persuade” (i.e., intimidate) opposition presidential candidate Henri Falcón not to run. With complete unanimity of outlook, the supposedly oppositional US media served to delegitimize the elections as well (FAIR.org, 5/23/18), with the New York Times (5/20/18) describing them as “heavily rigged” and the Miami Herald (5/2/18) christening them “fraudulent,” a “sham,” a “charade” and a “joke” in one column alone. Yet this perception of events can only be sustained through the careful curation of information: informing readers of certain facts, while ignoring strong evidence to the contrary. Maduro’s re-election was widely anticipated in US media (e.g., PBS NewsHour, 5/20/18), though his victory now is generally dismissed as fraud. The US has long supported regime change in Venezuela, going back at least to the abortive coupagainst President Hugo Chavez in 2002. It has also spent a fortune through the National Endowment for Democracy and USAID to prop up opposition groups inside the country. Trump recently appointed neocon Iraq War architect John Bolton as national security advisor, who wasted little time in declaring Venezuela, Cuba and Nicaragua a “troika of tyranny,” echoing the infamous “axis of evil” moniker he employed during the Iraq War. Yet this crucial context in understanding the situation is missing from news accounts. Corporate media passed on the chance to factcheck Trump administration claims about Venezuela. Resistance media have made it a point of pride to vigorously factcheck and scrutinize every one of the administration’s statements; the Washington Post (12/30/18) recently calculated that Trump makes an average of 15 false claims per day. And yet, when it comes to Venezuela, the administration’s dubious claims are taken at face value. This announcement was picked up across the media, including by Reuters (1/22/19), ABC News(1/23/19), Newsweek (1/22/19), the Los Angeles Times (1/22/19) and MSN (1/23/19). Yet none of these organizations factchecked this claim, allowing it to stand unchallenged as the basis of a story, further bolstering the dominant narrative. It was considered a shameful anti-democratic misstep when the New York Times’ editorial board (4/13/02) endorsed the 2002 coup. Yet for more than a year, US media have been openly calling for another one (FAIR.org, 5/16/18). The Washington Post (11/15/17) ran with the headline, “The Odds of a Military Coup in Venezuela Are Going Up. 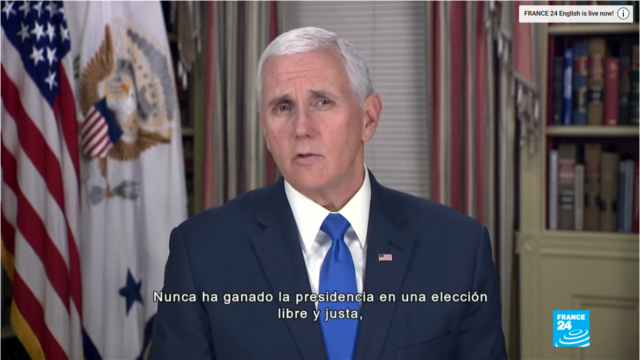 But Sometimes Coups Can Lead to Democracy.” For a media so focused on allegations of foreign interference in US politics, it is remarkable how accepting they are of Trump becoming personal moral arbiter of Venezuela.